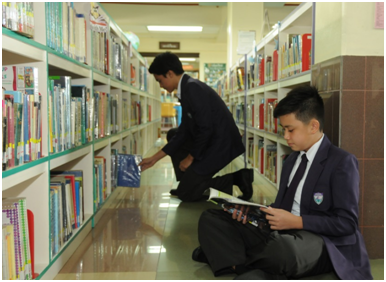 Southville International School and Colleges’ (SISC) Basic Education Division is committed to be a leading school recognized nationally and internationally for developing learners to become excellent in academics and values, who will be Movers of Society, and who will make a difference in the 21st century. The Basic Education Division is bound by its commitment to develop and equip learners with the 5Cs (Competence, Character, Collaboration, Creativity, and Commitment to Achieve) through relevant, innovative, challenging and effective curriculum and instruction, and a strong empirical research orientation within an enriched learning and caring environment. The Basic Education Division is learner-centered. Constructive in approach, students are made to find or construct meaning from what they are doing through active learning experiences. This course covers Literature, Grammar, Reading and Writing. These skills aim to provide students with learning experiences and resources that will enhance critical thinking and interactive communication. A. Creative Math Program for Grade School focusing on basic operations and problem solving skills. Science is presented as a process of inquiry and a way to make sense of the world. It stresses the practical application of Science concepts and upholds that scientific knowledge should be used to promote better understanding among people of different races and creed. Students develop historical and global perspectives, and adopt standards for their roles as citizens of a democratic society in an interdependent world. SLGE students live out the principles of global consciousness through the Global Village and local participation through the outreach programs that make them confront real issues among the poor and marginalized. 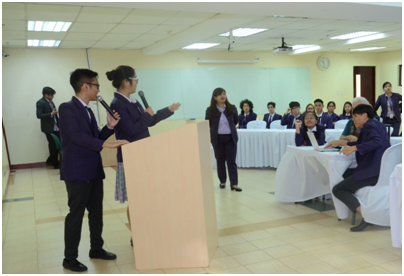 Students are taught how to handle their own personal businesses in the future through activities like Entrepreneuship Day, CEO Forum and the Business Plan Competition. Musically gifted students are provided further training when they become part of the school’s orchestra through the Music Instrument Specialization Program.